Michael Hurwitz, Esq. was admitted to practice law in the year 2006. Michael completed his undergraduate study at New York University in 2002. He obtained his juris doctorate law degree from Hofstra University’s School of Law on Long Island, NY in 2005. Michael L. Hurwitz, Esq. serves as our law firm’s managing attorney. He is admitted to practice law throughout the New York State Courts. Additionally, Michael is admitted to practice before the United States District Court for the Southern & Eastern Districts of New York. These federal districts include Manhattan, Brooklyn, Bronx, Queens & Staten Island in New York City. They also include Nassau & Suffolk Counties on Long Island, as well as Westchester County, New York. Michael Hurwitz takes pride in his work defending the rights of injured New Yorkers most in need. Featured In: The New York Post Michael Hurwitz’s litigation is covered by local news media. The Hurwitz Law Firm, PC was incorporated in the year 2011. It was founded upon a vision of activism on behalf of New York residents and consumers. Mr. Hurwitz’s law firm represents a wide variety of clients on claims for bodily injury, lost wages and more. The most common claims we see include automobile accidents, medical malpractice, falls, and workplace injuries. In addition, a variety of more obscure cases we handle include product defect and defamation of character. 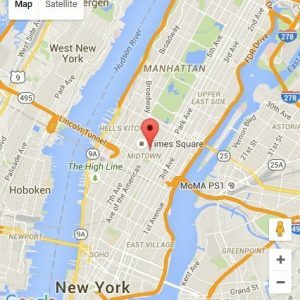 Our office is located in the Rockefeller Center neighborhood of Manhattan. However, our attorneys represent personal injury clients in all five boroughs of New York City, as well as Long Island and Westchester NY. Through our network of professional colleagues, we additionally handle serious injury claims in Upstate New York. Our employees are knowledgeable about the hazards New Yorkers face every day. We review numerous claims involving commuter accidents, workplace injury and medical malpractice. We work closely with several New York City law firms on personal injury cases, depending on the client’s unique circumstances. We also maintain relationships with out of state attorneys as necessary and appropriate. New York’s Real Estate News reports Michael Hurwitz, Esq.’s construction crane collapse litigation. Michael Hurwitz, Esq.’s personal injury legal services are performed on a contingency fee basis. This means we do not charge any out-of-pocket fee to the client for our work. Our fee is only payable in the event of a recovery. Our fee is payable out of the money we recovery on our client’s behalf. The firm’s legal representation of a client only begins when confirmed in a written retainer agreement. This important first document must be signed in order to become binding. If you or a loved one is hurt in an accident, contact our personal injury law firm today. We explain your rights and options, but never pressure you to pursue any particular course of action. However we do recommend prompt action. The law places strict time limits on personal injury claims in New York. Let us review your case and provide your legal options for pursuing compensation and justice under the law.